October 2015 Blog: Introducing our Wildlife Series featuring Tortoise Race and Martinique Macaw...and Shop Early for 2015 Christmas featuring our Original Jingle Bear sold exclusively in our webstores. Zarya Parx Studio™ is the collective creation of the mother and daughter artistic team of Charlene Perret (Zarya Parx) and Madalaine Anne. We welcome you to our humble cyber abode. We design custom art created from of our original art submissions in the mediums of photographs, paintings, sketches and digital art in a home based atmosphere. We also apply our art to custom designed eco-friendly and organic merchandise available through our Zarya Parx Studio, Litany Lane and Madalaines Managerie Custom Art Designs Webstores. Thank you for subscribing to our blog and shopping at our webstores. Our blogs are intended to compliment our webstores and utilize the accessibility of the internet networking. The public can freely subscribing to our blog as a central social location to evolve as we evolve. Our future blog posts will include updates on new custom art designed merchandise, DYI visual art tutorials, art history education webinars, environmental and health awareness and more...Our ability to create art is a gift we don't take lightly. Everything we do, our art, blogs, webstores and merchandise are created with lots of love and devotion and inspired by our fan-base support! To learn more about our art concepts, we invite you to evolve with us... please visit and share our FB our fan-pages , webstores and blogs. Zarya Parx Studio Wildlife Series Webstore is a creative extension of my contribution to conservation through my various ART mediums. The purpose of this webstore is to cultivate environmental knowledge and awareness. I hope my Wildlife Series will become an educational inspiration for everyone to realize the importance of environmental stewardship by proudly promoting wildlife through our merchandise and work together towards securing "The Dawn of A New Sustainable Era" for all Flora and Fauna. As conservation stewards, we are trying to do our part to maintain a "Greener" biosphere!...and you will notice the majority of our custom design products are Eco-friendly and Organic! As advocates of health, education and environmental causes, a monthly 10% of the net of total purchases will be donated in rotation to the Polycystic Kidney Disease Foundation (PKD), Arthritis Foundation, National Celiac Foundation, World Wildlife Federation, The Nature Conservancy, Audubon Zoo and/or New Orleans Museum of Art. Your purchases are deeply appreciated and we hope you enjoy them as they are created with lots of love and inspired by your support and feedback! L.I.F.E. in every stitch. Handmade in Kenya by Malaika mothers, this reusable cotton canvas bag provides these women with the opportunity to earn an income for their families, provide an education for their children, and create a product that improves the environment.L.I.F.E. bags are made of local Kenyan cotton canvas. 17"h x 17.25"w x 5"d.
ABOUT TORTOISES: Symbolic for longevity, stability and tranquility are peaceful land-dwelling reptiles from the testudinidae family traveling at slow pace of .015 miles per hour. Like their water cousin, the sea turtle, they are shielded by a hard shell with an endoskeleton. The difference between a tortoise and a turtle: tortoises are herbivores and live mostly on land, cannot swim and rarely migrate. Tortoises are vary in size from a few centimeters to two meters. Tortoises have a lifespan of up to 150 year. Female tortoises dig nesting burrows laying about thirty eggs per clutch. Egg laying occurs at night,. The mother tortoise covers her clutch with sand and organic material and leaves clutch unattended. The clutch is left unattended., Incubation is about 60 to 120 days to hatch. A fully formed hatchling uses an egg tooth to break out of its shell and digs to the surface to begin surviving alone. Hatchlings are born with an embryonic egg sac which serves as a source of nutrition for the first 3 to 7 days until they have the strength and mobility to find food on their own. To learn more about tortoises and turtles and conservation visit the World Chelonian Trust. Painting, drawing, crafts – all great activities, but hard on clothes. This kid length apron will keep your child clean. It’s got two center pockets for holding all their stuff too. The apron is made from a 35/65 cotton-poly blend twill and is machine washable. 20" L x 15" W. Made in the USA. ABOUT MACAWS: Birds of a Feather flock together....Macaws are known as New World Parrots. Macaws are native to Mexico, Central America, South America, and formerly the Caribbean. Macaws are known for their large, dark beaks, and medial facial patch. A macaw's facial feather pattern is as unique as a fingerprint. Macaws have their first and fourth toes pointing backwards. The smallest macaw is the Red-shouldered Macaw, the largest is the Hyacinth Macaw and the heaviest is the flightless Kakapo. The majority of macaws are now endangered in the wild with six species extinct. The greatest threat to macaw population is deforestation and the illegal trapping for the bird trade. To learn more about Macaws visit the San Diego Zoo's Animal Bytes about Macaw's. ZARYA PARX STUDIO WILDLIFE SERIES available at Zazzle. Jingle in the Holiday Season with original "Jingle Bear" by Zarya Parx Studio, an original canvas painting, by Charlene Perret, transferred to a digital custom design that brilliantly accentuates all our merchandise with the festive feeling of the holidays! Order your favorite "Jingle Bear" item today! It is the perfect Holiday gift, too! Lots of New Items all perfect for Christmas! 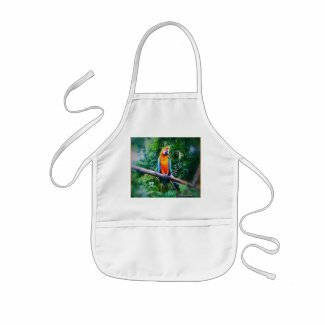 Check out Both Webstores for different items: Zarya Parx Studio @ Cafe Press and @ Zazzle. I've been a great deal happier ... since I have given up thinking about what is easy and pleasant, and being discontented because I couldn't have my own will. Our life is determined for us—and it makes the mind very free when we give up wishing, and only think of bearing what is laid upon us, and doing what is given us to do. 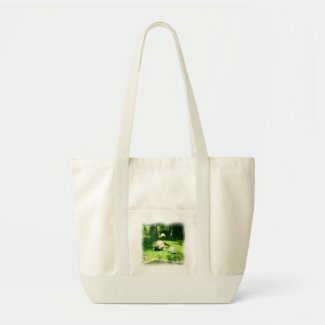 Madalaines Managerie Webstore at Zazzle. Copyright Disclosure: © Zarya Parx Studio™ 1994-2017. All Charlene Perret, Madalaine Anne, Zarya Parx Studio™. Zarya Parx Publishing™, Litany Lane™ ,Madalaines Managerie™, HI54GEO™ and HI54EDU™ art, images, designs and blogs are fully protected by U.S. and international copyright laws, all rights reserved. Our artwork and images are NOT public domain. The purchase, viewing sharing, tagging and/or pinning of any our art, prints, designs and/or any custom crafted item does NOT transfer reproduction rights and our images/artwork may NOT be copied, reproduced, altered, manipulated, distributed or resold for profit in any way without written permission of Charlene Perret, owner of Zarya Parx Studio™ and Zarya Parx Publishing™. Any and all unauthorized usage or pirating will be prosecuted to the full extent of U.S. and International Copyright Law. Fair Use: This blog may contain copyrighted material, the use of which has not always been specifically authorized by the copyright owner or may be authorized or licensed for publication at this site only. Permission to copy, republish or reproduce such material must be obtained from the original copyright owner. Such material is made available for educational purposes, to advance understanding of human rights, democracy, scientific, moral, ethical, and social justice issues, etc. This constitutes a ‘fair use’ of any such copyrighted material as provided for in Title 17 U.S.C. section 107 of the US Copyright Law. In accordance with Title 17 U.S.C. Section 107, the material on this site is distributed without profit to those who have expressed a prior interest in receiving the included information for research and educational purposes. If you wish to use copyrighted material from this site for purposes of your own that go beyond ‘fair use’, you must obtain permission from the copyright owner. © Zarya Parx Studio™ 1994-2017. Powered by Blogger.